The new "WeldWide" car mat sets are now available exclusively from us! The only car mat set in the world that features a full width High Frequency Welded heel pad. This unique system has been in development for the past 3-years and is now perfected to create the ultimate reinforced area with the most attractive design ever created. 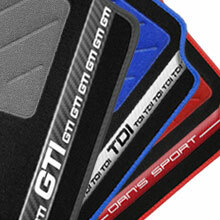 Be one of the first to purchase these totally exclusive and unique car mat sets - you won't find them anywhere else! We base our mat shapes on OEM Genuine sets which are supplied to us directly from the main dealership, so we supply the exact same shape as the dealer. Your 700g fully tailored mats are cut using the latest CAD cutting technology, so no errors are made when producing your perfect car mat set. PLUS! With a wide range of colours for you to choose from, and no middlemen, why risk buying from anywhere else? Don't risk damaging your vehicles original carpet. Remember at some point, you will sell the vehicle on, maybe trade it in? Protect the original carpet NOW and increase the residual value of your vehicle when it's time to sell! Please read the important part details below and make your order today! We are the leading car mat manufacturer in the UK with over 21 years of experience in the automotive accessories industry currently supplying Suzuki GB, Ford UK, Nissan GB so quality is assured. Buy directly from us, an approved manufacturer. Mats come with Correct/Approved Fixing Systems to ensure complete safety. Please see template image for fixing locations. If template image shows no fixing holes, mats will be supplied with a universal or velcro system. If unsure contact us prior to ordering.